Zodiac - Touch The Sky - Solarstone. 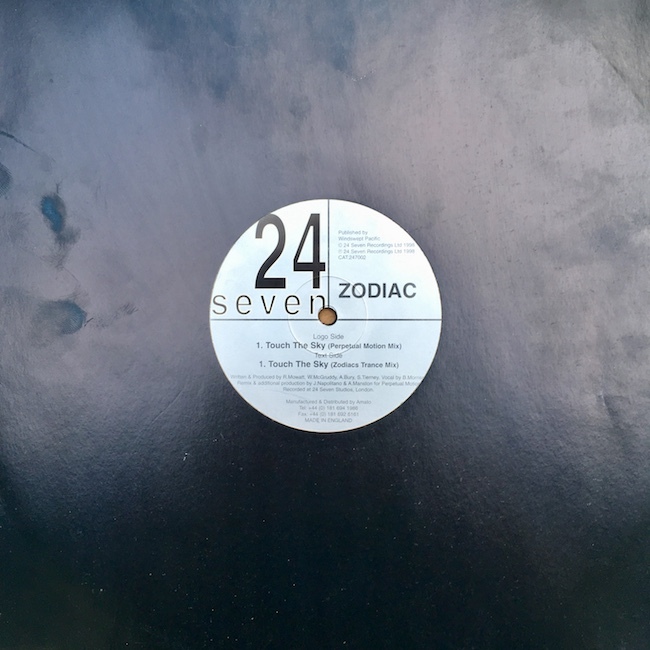 Zodiac was an ill-fated project of Solarstone back in the late 90’s. A huge amount of time went into the various mixes of this track, including commissioning of a live string section, trance mixes etc. The vocalist was Bill McGruddy, who features on several tracks from Solarstone’s ‘Touchstone’ album. The ‘Chromium Mix’ was one of Solarstone’s rare & sporadic Breakbeat mixes. There was also a remix by Top 40 – botherers ‘Perpetual Motion’ (of ‘Keep On Dancing’ fame) back in 1998. Elements of ‘Touch the Sky’ went on to be used in other more successful Solarstone tracks, such as ‘Release’ and ‘Shake the Demons’.